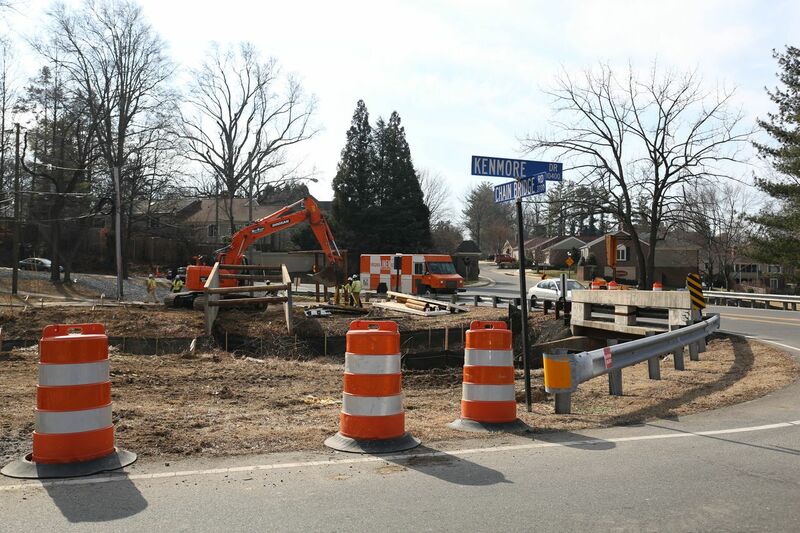 The bridge on Chain Bridge Road will be under construction from late March to early April (photo by John Irwin). Detours began on February 17. Kenmore Drive will be restricted to a westbound one-way street between Mason St. and Chain Bridge Rd. to allow for water main relocation. 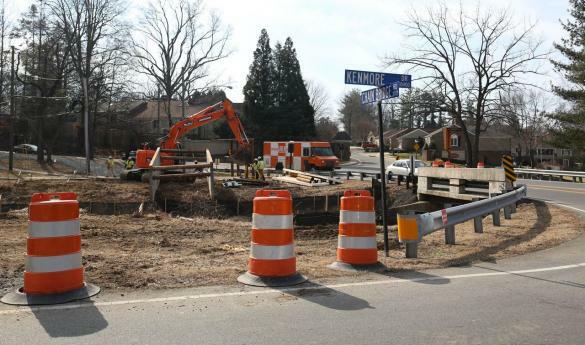 Information and diagrams of the detour can be found on the Fairfax City website. Concerned commuters can also sign up for eMAS, a free system provided by Fairfax city to send traffic alerts and road detours through text and email. Commuters are encouraged to find alternate routes to their destinations or to plan ahead for delays during their commutes. "I'm hoping that people will be patient and understand that we have to replace the bridge. There will be some congestion due to construction activity and I just hope people remain patient and find alternative routes and bear with us. We hope to have the project completed sometime in August," Summers said. Though the replacement of this bridge has not brought about any large obstacles, the exact date of its demolition and construction are still tentative. "It's not exactly certain when it'll start yet because we have to relocate a water line and we're also building a temporary bridge for use for southbound traffic during construction. These two things, the water line and the temporary bridge, need to be completed before we can actually start the new bridge," Summers said. Relocation of the water line is anticipated to begin next week. Construction of the temporary bridge is planned to begin in March. However, inclement weather may delay the start of construction. The new bridge, though serving the same purpose as the old one, will bring new features to the community including a separate bridge for pedestrians to the east and a sidewalk to the west. When construction is complete, there will be pedestrian and bike paths to either side of the bridge, according to Summers.. The process to replace the bridge began six years ago, Summers said after a routine examination of the bridge. The city had to procure funding for the process and discuss different designs with the City Council and the community as well as advertise for construction and relocate power lines. Though the new bridge won't have any extra lanes, it will be safer for commuters by improving sight distance, according to Summers. The new bridge will be safer for pedestrians as well as add aesthetic to the community. "It's going to have an arch shape with masonry facing, it'll have footlights so the walkways will be illuminated at night," Summers said. "I'm excited for the community because when it's finished it will be very attractive and I think everybody will like it." Beginning February 27, Route 123 will have one lane closed near the Mason Inn as part of the Campus Drive project connecting Mason's Fairfax Campus with West Campus. Construction on the Campus Drive bridge is expected to be completed by the end of December 2014.